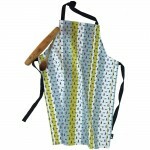 We are proud to say all our aprons are 100% cotton and are designed, printed and made in Cheshire, UK. Product info: Fresh from her new collection, Emma Lonsdale has produced hand drawn illustra.. Product info: A quirky hand drawn dog walking illustration taken from Emma Lonsdale's signa.. 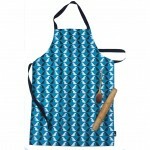 Product info: A vibrant, dog design cotton apron. Taken from Emma Lonsdale's Brand lo.. 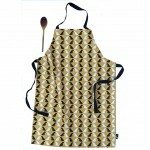 Product info: A vibrant, dog design cotton apron. Taken from Emma Lonsdale's Br..